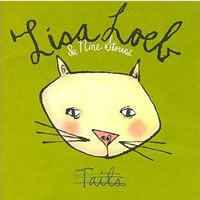 so it is time to move this on a little bit lol Lisa Loeb deserves some exposure here. Soon. Lisa Anne Loeb (March 11, 1968) is an American singer-songwriter, producer, touring artist, actress, author, and philanthropist who started her career with the platinum-selling number 1 hit song, "Stay (I Missed You)" from the film Reality Bites, the first number 1 single for an artist without a recording contract! She was raised in Dallas, Texas, with her three younger siblings, all of whom became involved with music: conductor Benjamin Loeb, musician Debbie Loeb, and mix engineer Philip Loeb. Loeb&#39;s big break came through her friendship with actor Ethan Hawke, who lived in an apartment across the street from her in New York City. She told Cosmopolitan that she met Hawke in the NYC theater community where, as she phrased it, "I made music for his plays." Loeb gave Hawke the Juan Patiño-produced version of "Stay (I Missed You)" he in turn gave it to director Ben Stiller during the making of the 1994 film Reality Bites, with Stacy Sher. Stiller subsequently decided to use the song in the film&#39;s ending credits, and it was included by Ron Fair on the soundtrack on RCA Records. Hawke also directed a rare one-take video on film, a continuous steadicam shot operated by Robin Buerki. Very simple and pure pop songs. I discovered Lisa thanks to Reality Bites. I went to the cinema and liked the movie and decided I wanted to buy the album, basically because of U2&#39;s All I Want is You, My Sharona and Big Mountain&#39;s Baby I Love Your Way. When I checked it I fell in love with Stay and it is amongst my fav songs ever since that day. I bought Tails, but like 1 year after RB. It was around the time Jewel released Pieces of You and in my mind they were kind of similar: raw production, straightfoward lyrics, beautiful melodies. Tails was more of a grower anyway, while Jewel was instant love. But years later, around the time Lisa released Firecracker, I re-checked Tails more in depth and fell in love with it. I kinda lost track of her years later, so my relationship with her is strange as I don&#39;t have all her discography and Spotify is not properly populated. She has released many children&#39;s albums, which makes things wierder, but I&#39;ll forever be attached to Tails, Firecracker and many other of her beautiful songs and lyrics. First song from Firecracker to make the list. I presented that album in the Album Cup and flopped, and that album is amongst my fav of all time by any artist, so I can predict this countdown won&#39;t make big impact here lol. Still Lisa is a very important part of my musical journey in this life so couldn&#39;t skip her in this Deconstructing myself experience. Although the album was not as commercially successful as its predecessors, it was very well received by some critics who noted on the mature and strong writing by Loeb, with Stephen Thomas Erlewine calling it "the best, most cohesive record she&#39;s made, a clean, crisp collection of well-crafted, gentle tunes that slowly, surely work into the subconscious. Cake and Pie did not receive major backing or promotion from Loeb&#39;s record label which led to the album&#39;s commercial failure, having reached 199 on the Billboard 200 albums chart with Loeb being subsequently dropped from the label. Loeb bought the rights to the masters of the songs, and the album was reissued and renamed Hello Lisa. The album was well received by the public, as it was certified Gold by the RIAA on December 1, 1995. Critics were also favorable to the album, with Ken Tucker of Entertainment Weekly, in particular, noting that "Loeb has an undeniable gift for creating an air of intimacy and vulnerability, which may well be enough for &#39;Stay&#39; fans looking for additional doses of contemplative melancholy." Firecracker is a Grammy-nominated album by Lisa Loeb. It was released in 1997 through Geffen Records. Cheva Chonin of Rolling Stone noted that the "endearing naivete and frothy, indie-rock guitar" of her debut album had been replaced "by staid arrangements and lackluster riffs." While Tails cought my attention, Firecracker made me a fan. More polished production, but still highlighting her simplicity and sweetness. End of the road for Lisa! Stay is amongst my fav songs of all time, with clever lyrics and simple melody. My number 2 is a personal fav, dedicated this song to my wife while we were dating and was part of our wedding album.